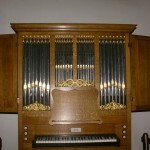 In 2000 organ builder Steendam installed a small choir organ in the Pilgrimfathers’ Church, an instrument built in 1975 by the organ building firm of Fonteyn. It had been in use at the church hall on the Mathenesserlaan, which belonged to the church. 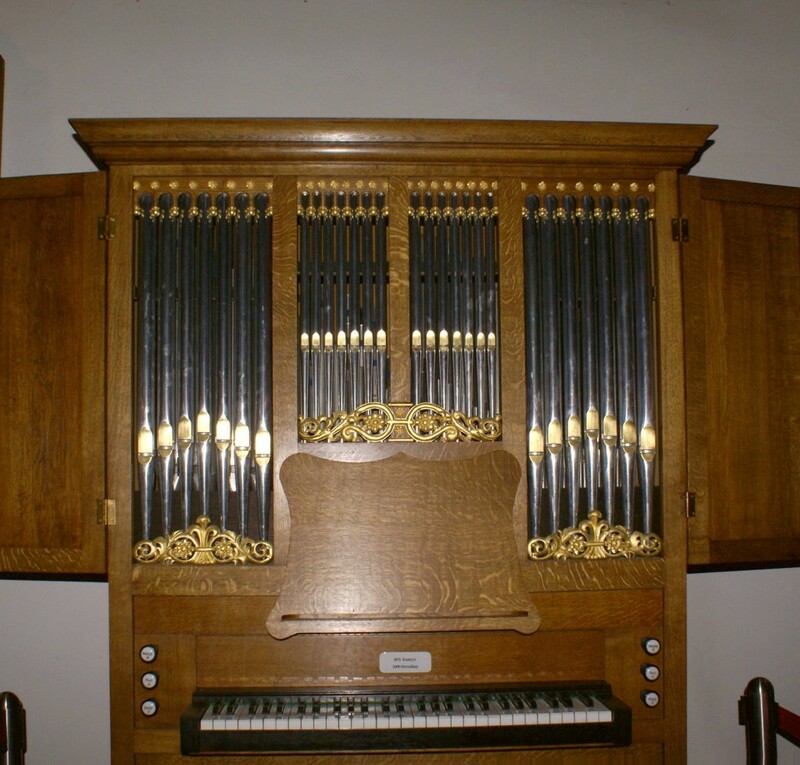 This little beauty of an organ was restored by Steendam; several technical improvements were made, but also the wooden encasing and the carving were renewed, new 19th century register knobs were added, and the instrument was stained a dark oak colour. Of course it needed to be re-intoned. This work was done with Bätz-Witte organ in mind, and the two organs now complement each other and suit the interior of the church well.